Easy to set up. Scaling is quick configure. Solid Reliability. A freemium model for a testing or staging environment to match the production environment would be nice. It's easy to set up, and the control panel interface is well organized and full-featured. Billing statements match the ease of use of the control panel and are just as easy to understand. Auto software patching, Database scalability, security provisions, monitoring and metrics, auto host deployment. The service is really fast and reliable, and you don't have to fiddle with settings and docker images too much. "Nothing special over other hosted dbs"
Same thing that is great about databases as a service. I can have an highly available, secure database without doing the work or hiring a dba (because who even does that anymore). I can sit back and relax and not worry that my data ever being unavailable. There are many out that that do the same thing. Do your research first. Being able to focus on my apps and products instead of having to be an expert for the specific db I'm using. The best thing about it is the User Interface which is quite simple to understand and the workflow is really smooth. We were able to get our Database up and running in no time and there is not much learning curve involved here. Its integration with other IBM products is seamless. The price could go up pretty fast if you don't plan the scalability well in advance. Sometimes I lose my session, maybe it's due to a bad internet connection. It's a cloud-based solution, so you don't need to invest in any hardware at your end which is the best part about it. The management and data recovery are state of the art. 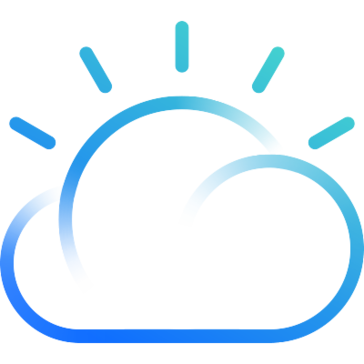 "incredible curated private IT hosting software"
It really comes down to the exceptional built-in reliability & redundancy components that IBM offers. You know with a platform hosted by IBM that it's going to be exceptional with an excellent customer succession team, and that's exactly what my sales team has been met with. Amazing GUI for browsing/updating MongoDB - better than any other software I've used. Quality support as expected from an enterprise offering. Adding lots of additional products but we mainly just use their MongoDB. I'm concerned that they're moving towards completely enterprise and leaving the little guy behind. A cheaper developer/starter plan would be a plus. We are very happy with our cloud MongoDB service from Compose - easy, scalable, reliable. Great product. Few clicks and I had my MongoDB ready to go. They are doing all the backups for us and we try to restore, everything works. They keep updating versions all the time and adding new features. Sometime they remove useful features, for example they had a sandbox MongoDB installation which is free small installation, we use it for testing but now it does not exist any more. It so easy to get start there is no need to think about it. Storing the database of a web-application we are building. Price and computing power depends on data stored, which means it will scale seamlessly, but it gives you less control over the performance. Also, it's harder to integrate with Heroku billing. If you need a database-as-a-service, and don't badly need heroku billing integration, compose.io will satisfy you. The offer range of classical and cutting-edge databases as well - probably the only provider with RethinkDB I know about. We needed a fully managed database, and compose.io does just that. We just set it up and forgot about it. It just runs, never had any problems. And the management console is slick. "Great services for any Corp "
Great software application for business solutions and operations when writing reports or research papers. I do not like the constant software updates. The speed of the programs should be increased by 60%. I would highly recommend this product or service to anyone that is involved with business analytics or management. I realized that IBM has helped my company with their advanced technological services, and computer programs to operate smooth. The ease of using this program makes it an enjoyable product. I found no issues during my time using this product. This product makes it easy to manage my company’s databases. "Compose services are not full featured"
We use Compose services like Redis, Elastic etc for our cloud applications. They are the only services available on the catalog. Deploying is easy and as self managing as you expect. I've experienced down time where the entire data center in San Jose was down. Picking a quick Nosql database to add to our ecosystem. Strong pricing for startups and a variety of connectors to logging platforms. * We monitor all IBM Compose reviews to prevent fraudulent reviews and keep review quality high. We do not post reviews by company employees or direct competitors. Validated reviews require the user to submit a screenshot of the product containing their user ID, in order to verify a user is an actual user of the product. Hi there! Are you looking to implement a solution like Compose?